Godolphin’s Osborne Bulls will run at Caulfield at the start of a campaign aimed at a G1 race. Osborne Bulls missed out on his chance in one Group One handicap earlier this year but begins his charge towards another when he resumes in the Regal Roller Stakes at Caulfield. 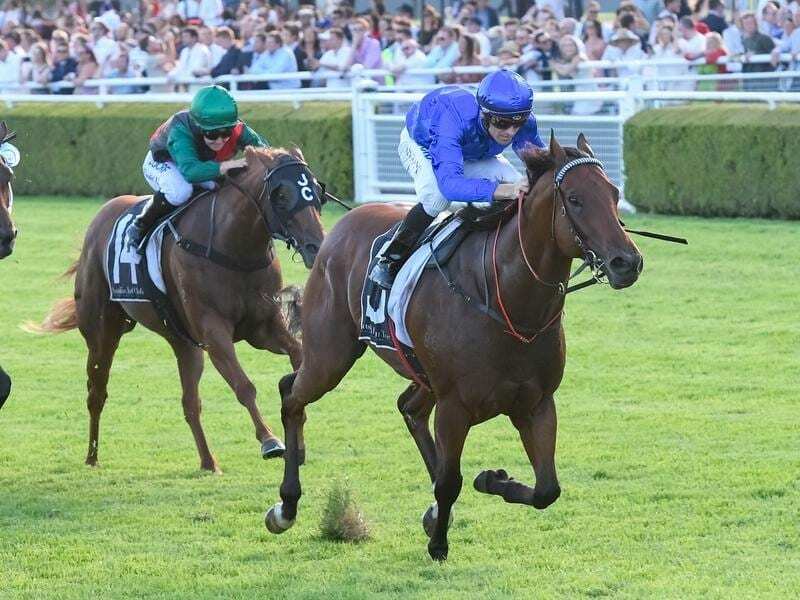 The Godolphin-owned gelding has seven wins from 10 starts and was being readied for a crack at the Stradbroke Handicap (1350m) in Brisbane in June but was stranded as second emergency and did not gain a start. The five-year-old is set to make his season return in Saturday’s Listed 1200m race at Caulfield with trainer James Cummings indicating the race is part of a program towards next month’s Group One Sir Rupert Clarke Stakes (1400m) at the same track. “All going well we’ll probably work towards the Rupert Clarke,” Cummings said. Osborne Bulls, to be ridden by Craig Williams, was the $3.30 favourite for the Regal Roller on Thursday in a field reduced to 10 runners after the scratching of popular sprinter Rich Charm for the second weekend in a row. “Osborne Bulls still has residual fitness from his autumn campaign when we hoped he might sneak into the Stradbroke,” Cummings said. Last Saturday’s Group Three Aurie’s Star Handicap third placegetter Brave Song was on the second line of betting on Thursday at $4.20 ahead of consistent sprinter Inn Keeper ($5.50) who is also an acceptor in Saturday’s Spring Stakes in Adelaide.